Robert Platzman (Princeton) - Book Appointment Online! 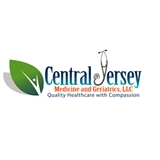 Our mission at Central Jersey Medicine and Geriatrics is to provide quality and compassionate healthcare in order to achieve optimal individual health. Dr. Robert Platzman provides Adult & Geriatric Medical Services, practicing Primary Care Medicine & Internal Medicine. Our goal is to make your healthcare a pleasant, friendly experience by making your needs our first priority. Outstanding Doctor. Great knowledge. Patient and answered all questions. Cares about his patients. Outstanding experience!